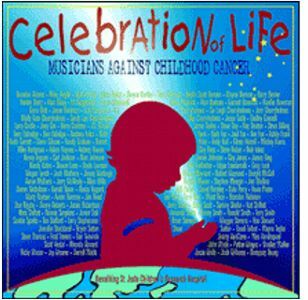 Back in 2006, Skaggs Family Records released Celebration of Life: Musicians Against Childhood Cancer (MACC), a two-CD collection with over two hours of live music that drew from the 2000-2005 MACC Festival in Columbus, Ohio. It became one of bluegrass music's top ten releases in 2006 and won the International Bluegrass Music Assn. 's Album of the Year Award. On the Rural Rhythm Records label, "Life Goes On" is the 2012 sequel to the original release and draws material from the 2006-2011 festivals. Like the first album, Darrel Adkins, Bob Kelley and Jack Campitelli are its producers. After Darrel and his wife Phyllis lost their beautiful 22-year-old daughter, Mandy, to a brain stem tumor on November 25, 2000, the inspiration for MACC was born. While "Life Goes On," the memories and reflections only grow stronger from festival to festival. The charity was formed, and the festival was launched to raise funds for St. Jude Children's Research Hospital in Memphis, Tn. where treatment is dispensed for children with terminal illness. All 139 artists donate their performance for this project, and all are big names in bluegrass music. It takes seven pages of the CD jacket just to lay out the pickers and singers on the 39 songs. Like the 2006 release, this collection offers a few duos, trios and even band configurations we don't often hear play together regularly. One example is the song, "Paul's Ministry," that includes Paul Williams, Doyle Lawson, J.D. Crowe, Carl White, Jason Barie, and Mike Rogers. Another example is "Memories of Mother" with James King, Dudley Connell, Russell Moore, Adam Steffey, Marshall Wilborn, and Ron Stewart. I was impressed by the strong, concise, well-rehearsed arrangements from all groups on the CD. Besides the sheer volume and variety of material, a big advantage is the captivating diversity from a very supportive bluegrass community. There are both traditional and contemporary bands. A few cuts (e.g. "The Likes of Me" from Randy Kohrs Band) have drums. There also are a few rousing instrumentals (e.g. "Smashville" from Sierra Hull & Highway 111; "The Turkey Buzzard" with Joe Mullins & Aubrey Haynie). Live festival cuts typically convey plenty of energy, emotion and exuberance. Take special note of each and every song that could be construed as sweet sentiments, expressions and tributes to loved ones and memories of them. "Precious Memories" presented by Doyle Lawson & Quicksilver (lead vocals by Mike Rogers) is an example, and that cut includes the orchestrated sounds of The Centerville Alternative Strings comprised of 26 teenagers. While Rhonda Vincent reminds us that "The Water is Wide," Marty Raybon also tells us "The Water's So Cold." Tony Rice introduces "Manzanita," the longest cut (at 6:35 minutes) on the project, to the memory of Mandy Adkins. As Kenny & Amanda Smith sing, "It's Shouting Time in Heaven." The second disc closes with the title cut, "Life Goes On," written by Dale Pyatt and Steve Thomas. It's the only track recorded in the studio rather than live on stage. The arrangement features five different lead vocalists (Carl Jackson, Ronnie Bowman, Larry Cordle, Jerry Salley, Rickey Wasson) and many harmony singers and instrumentalists. It's hard not to get a few goose bumps and chills when we tenderly hear "Sweet child, I still hear your laughter and see the smile on your face. Bet you're dancing with the angels right now, while twin fiddles play."